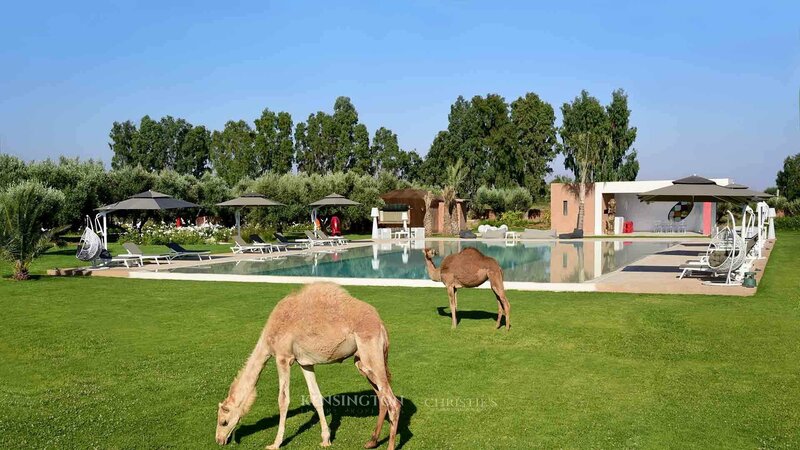 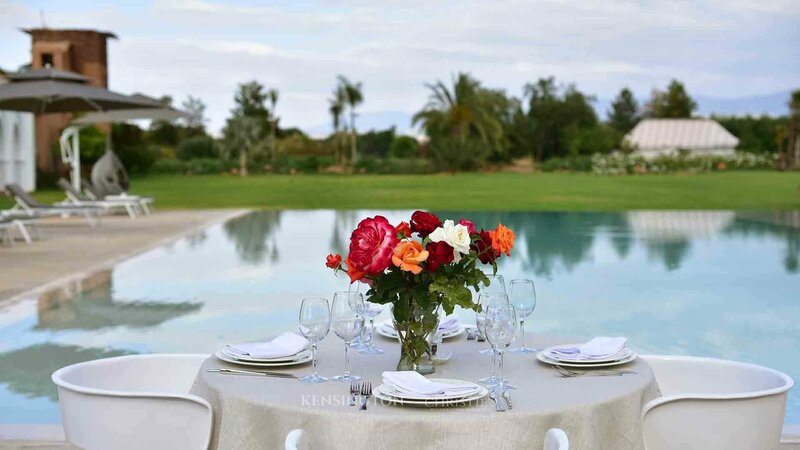 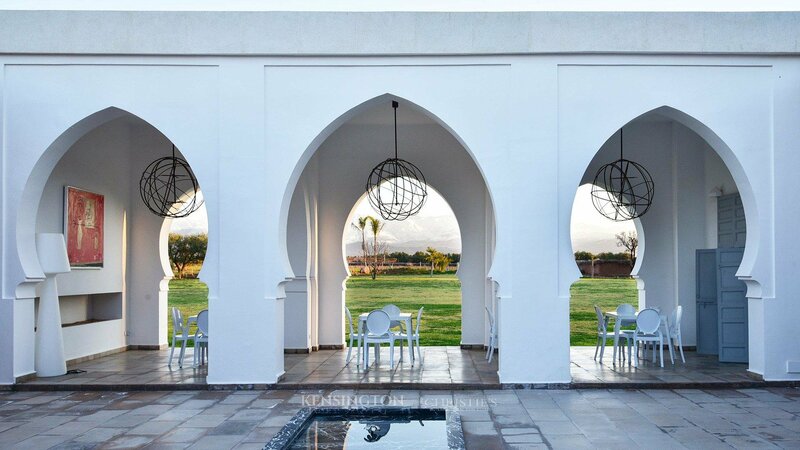 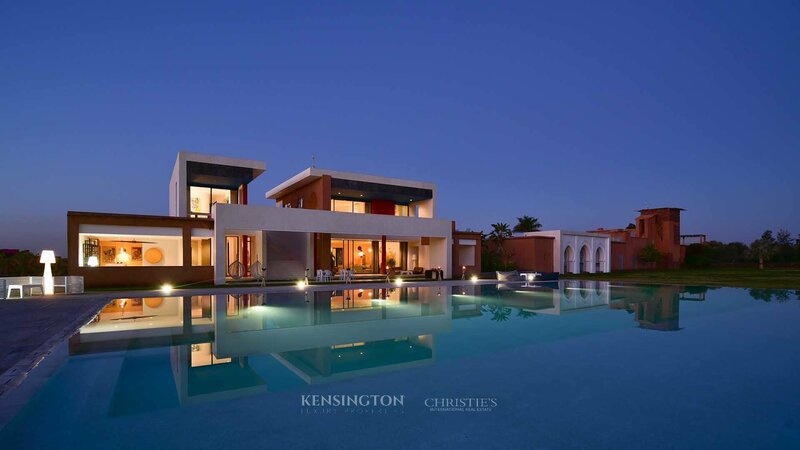 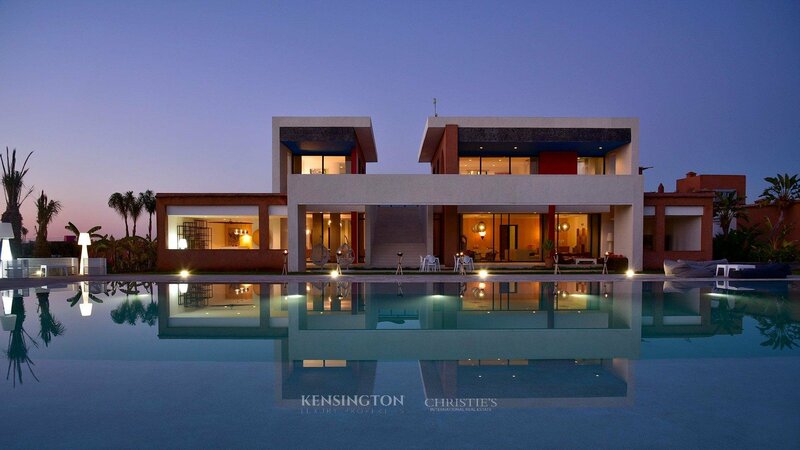 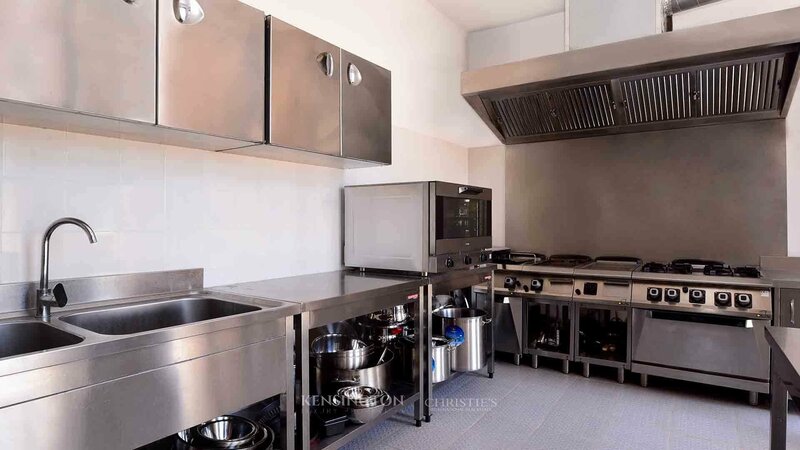 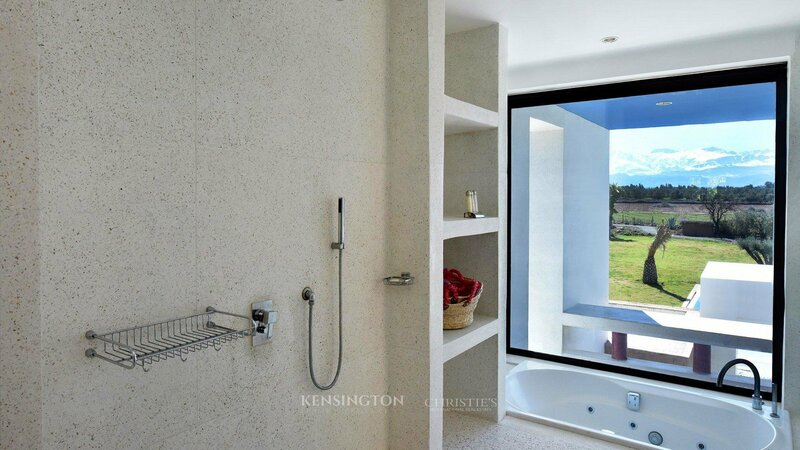 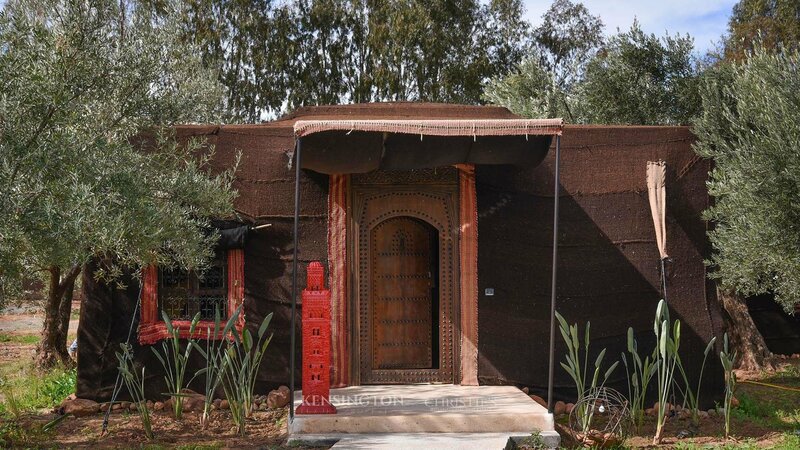 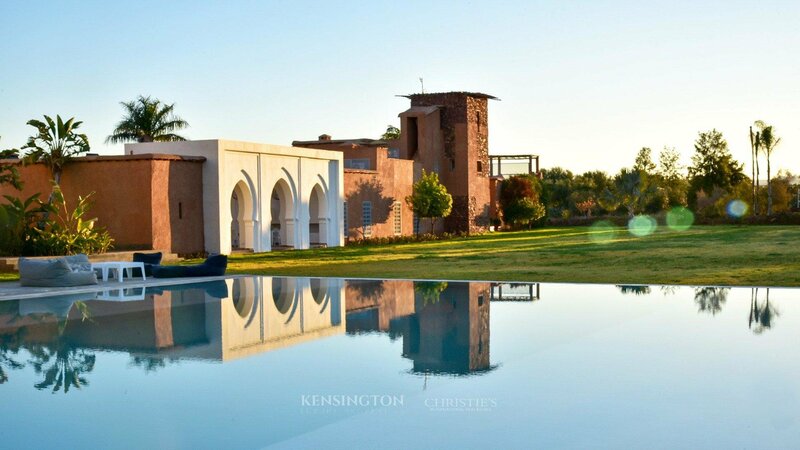 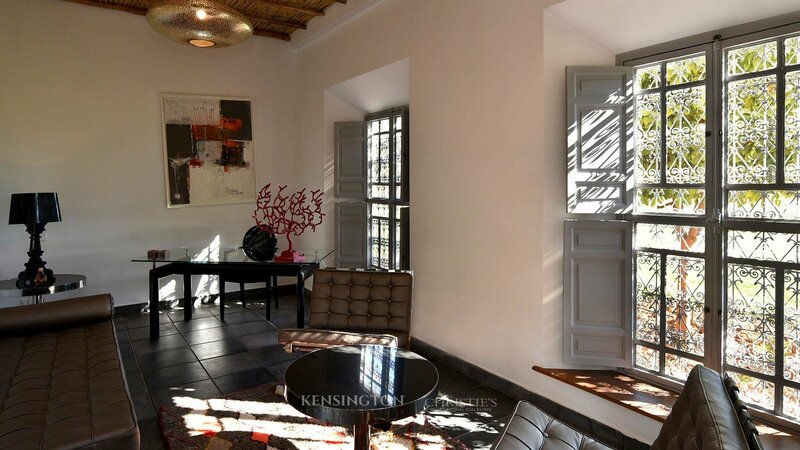 An immense property of 2 500 sq.m, with a magnificent garden of 6 hectares located 25 minutes from Marrakech. 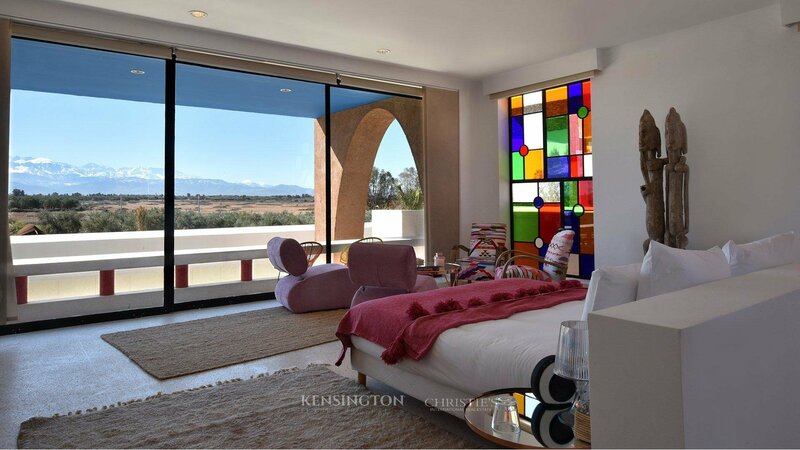 Nestled among the olive groves this unique property offers stunning panoramic views of the Atlas Mountains. 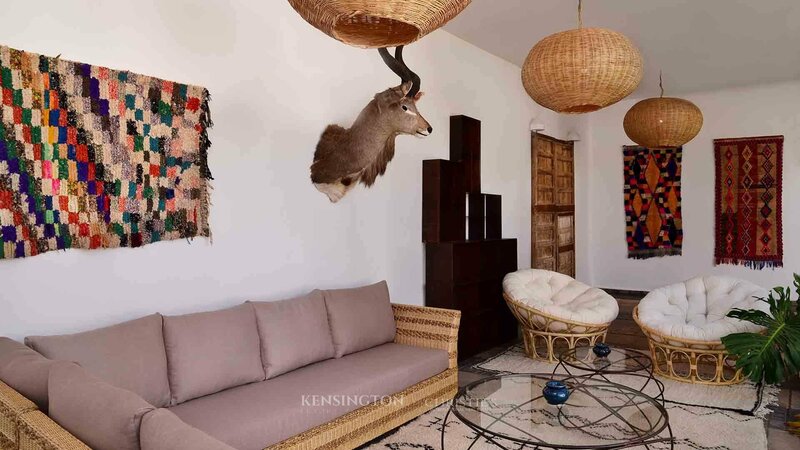 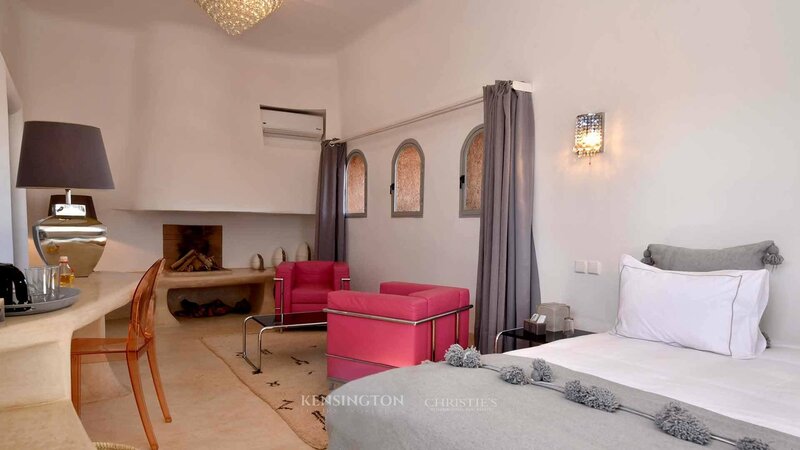 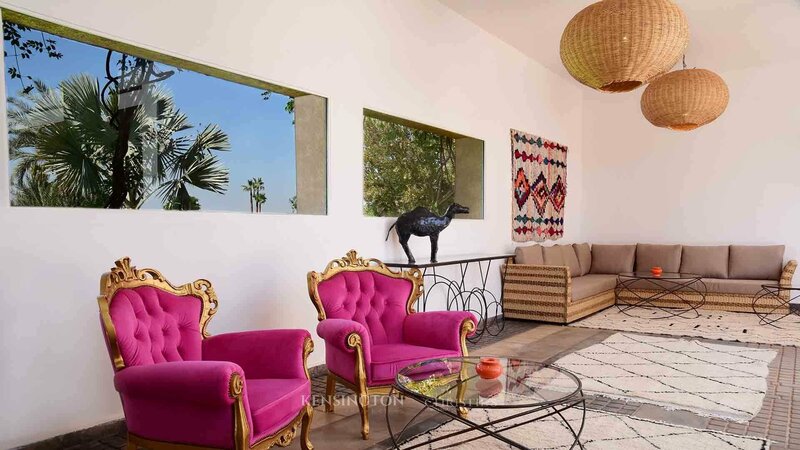 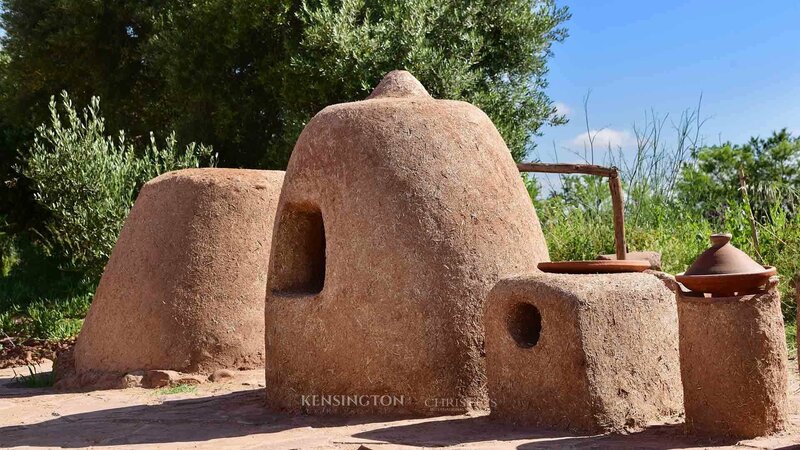 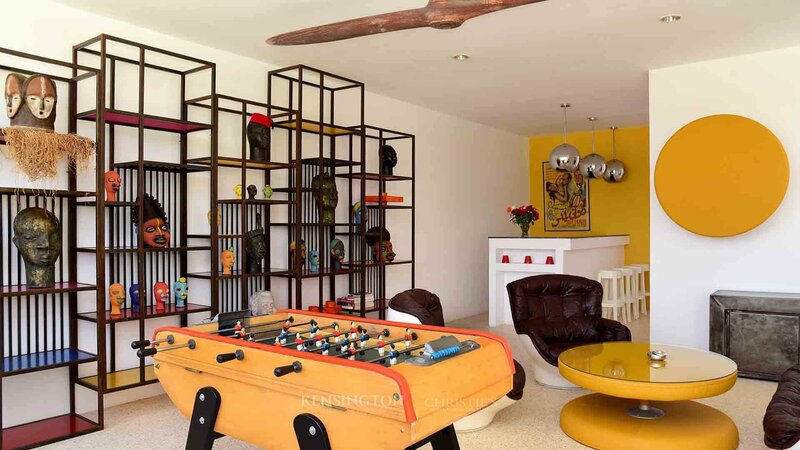 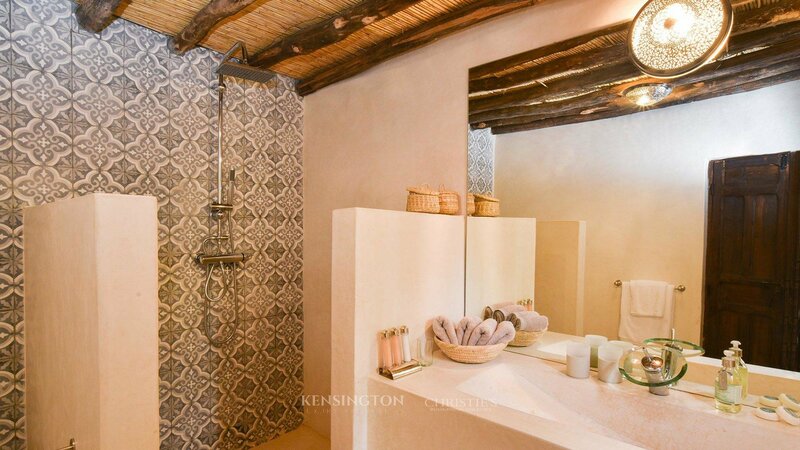 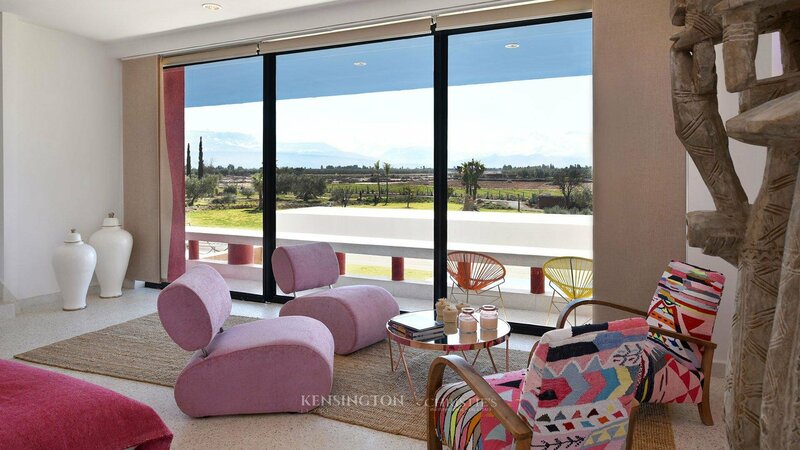 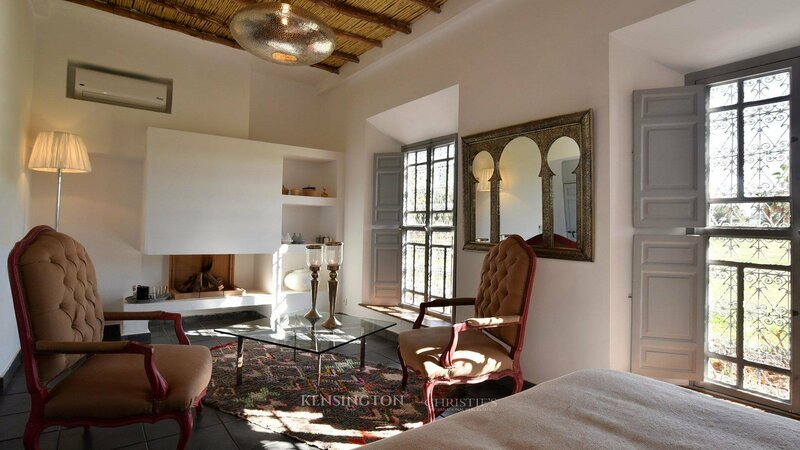 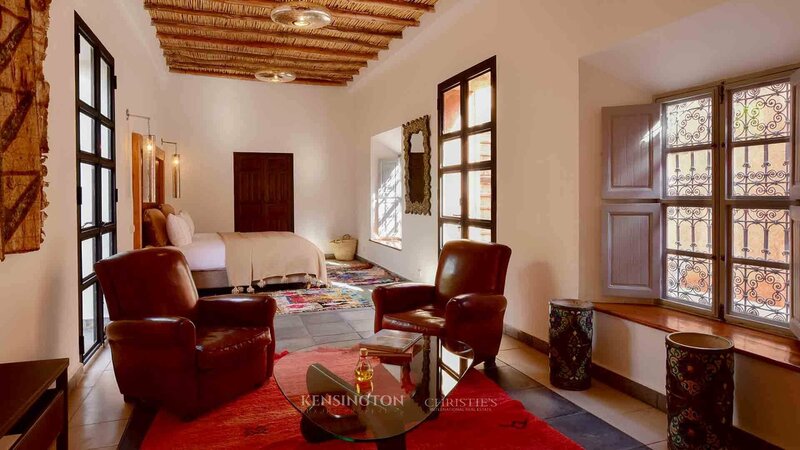 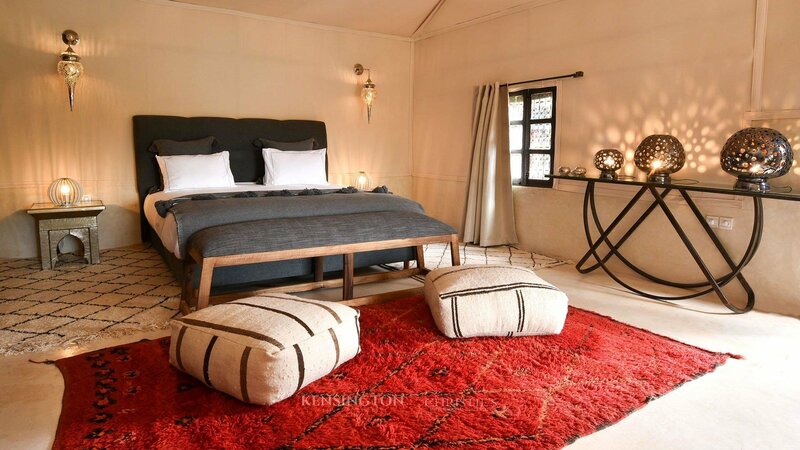 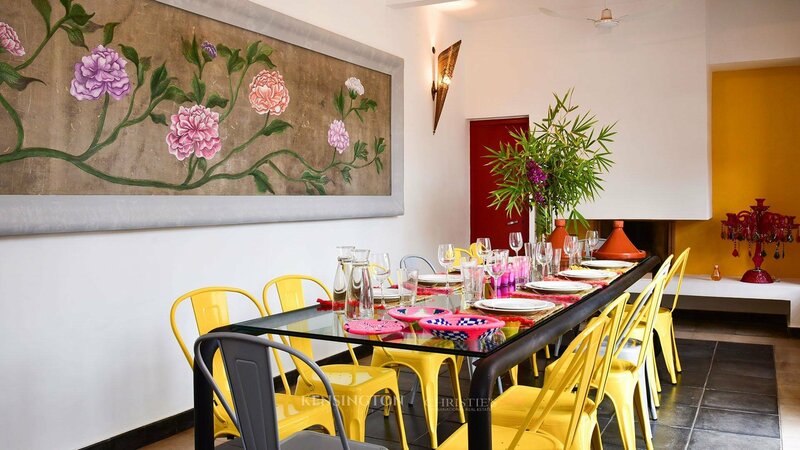 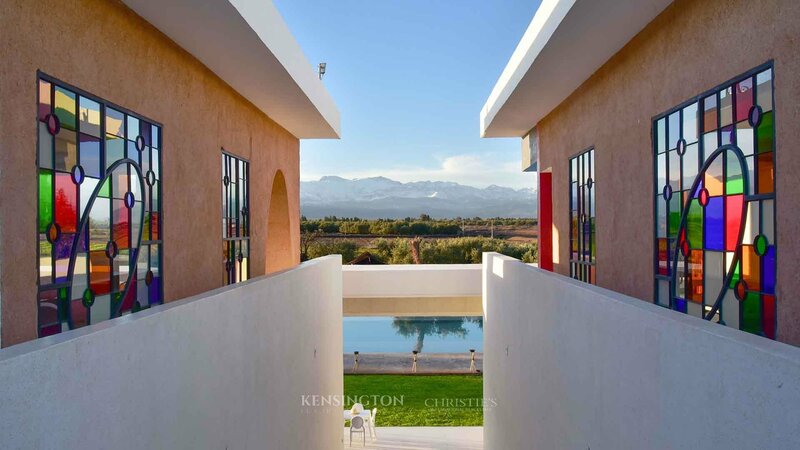 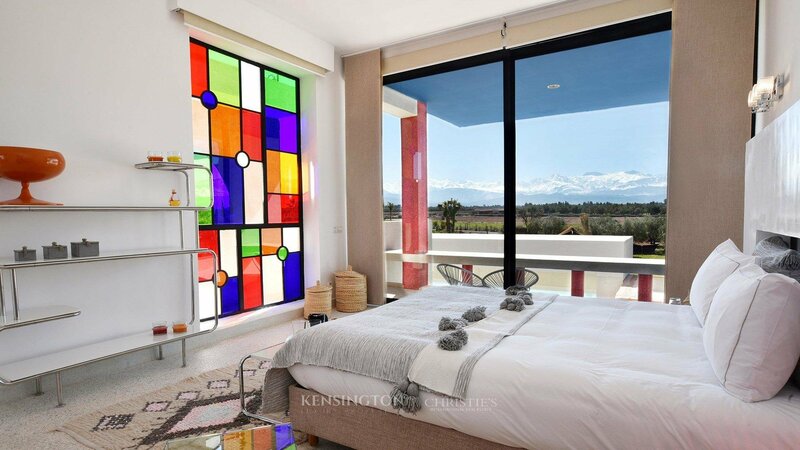 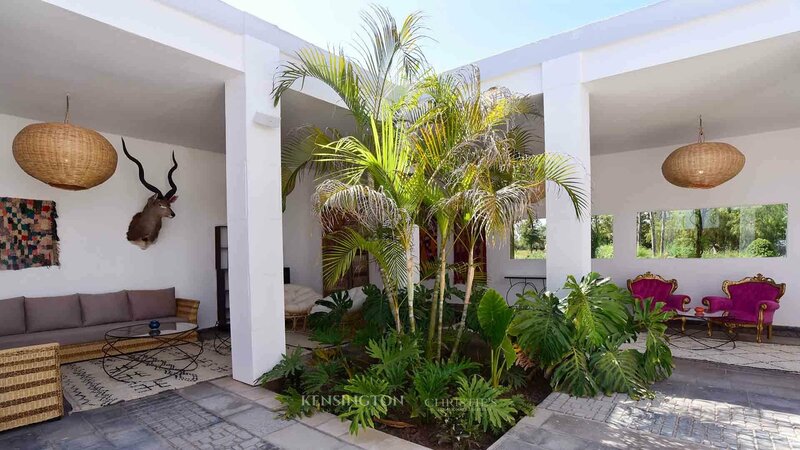 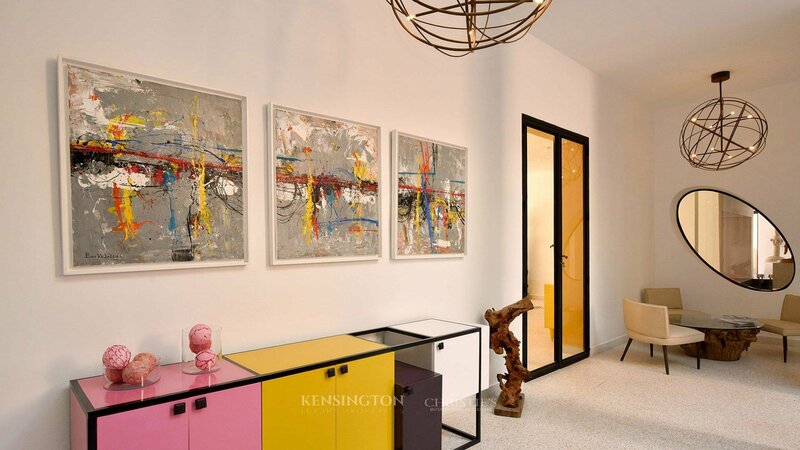 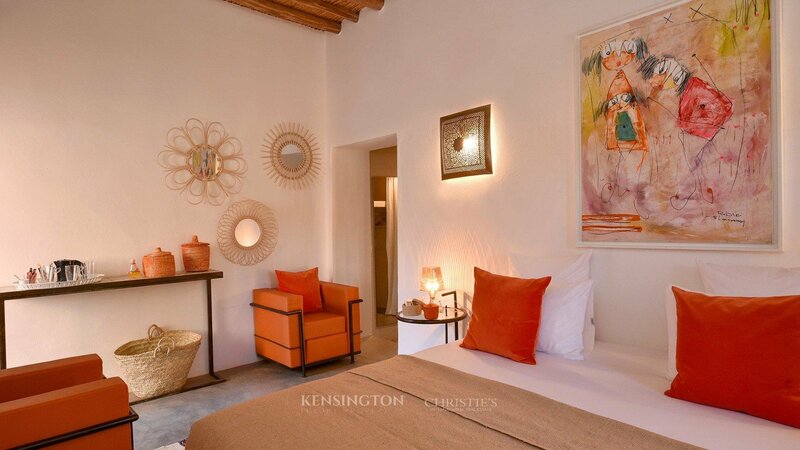 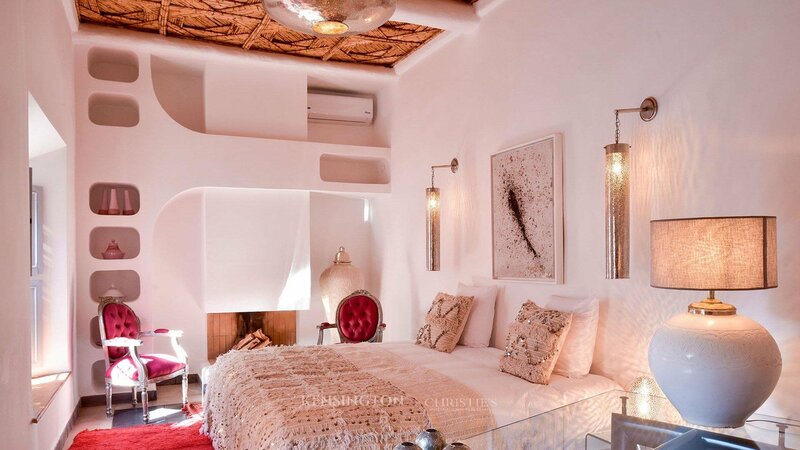 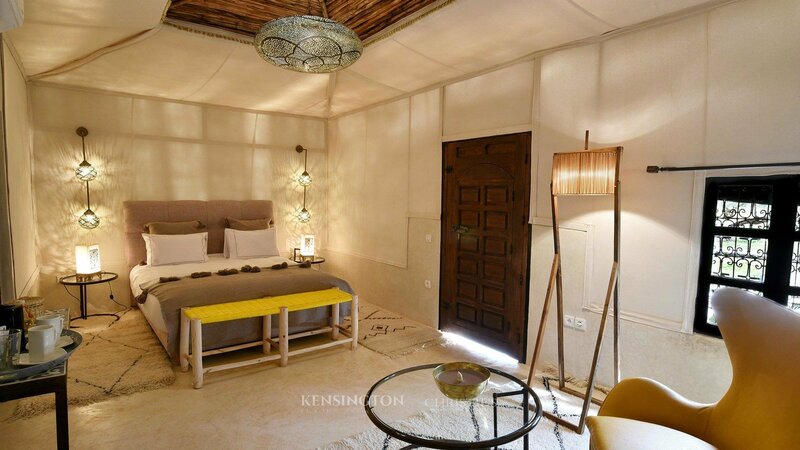 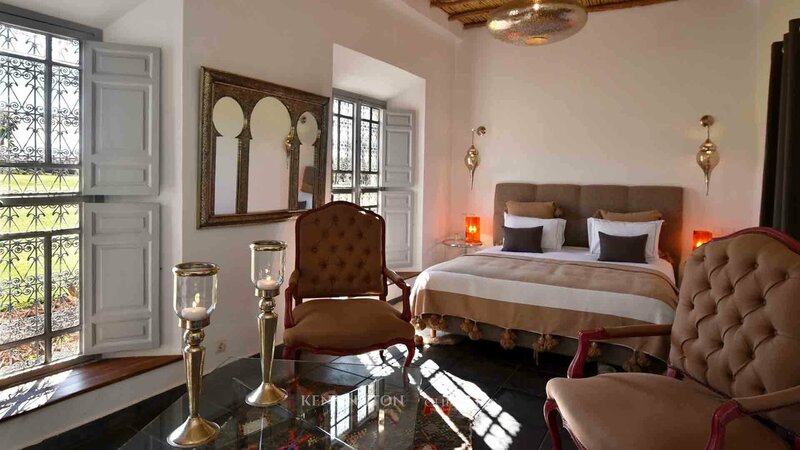 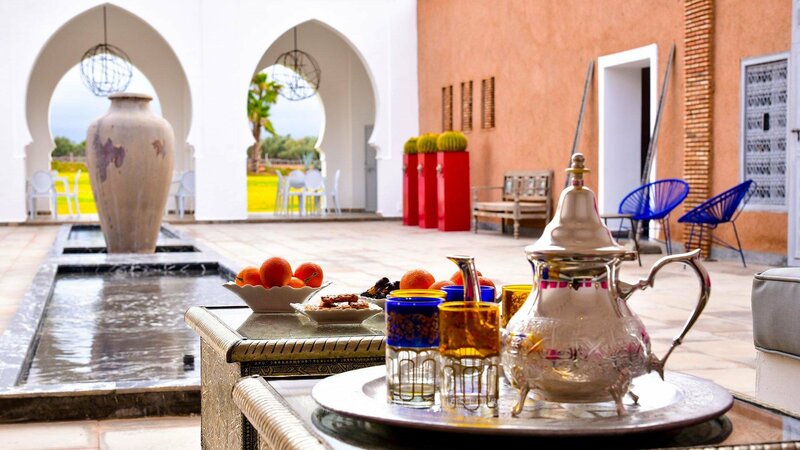 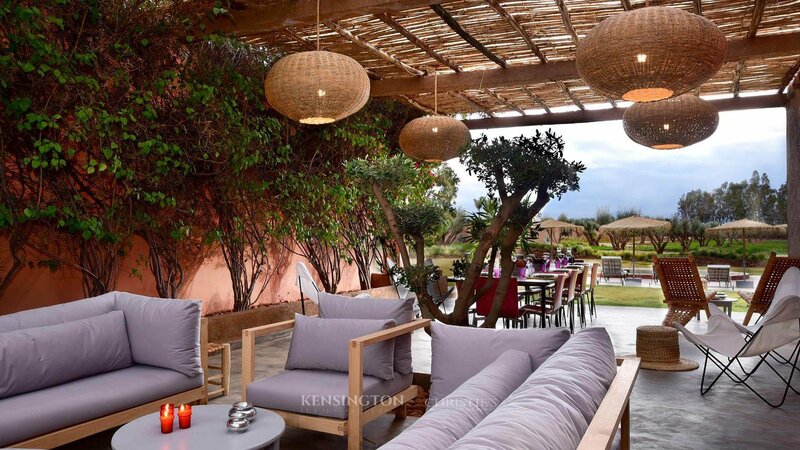 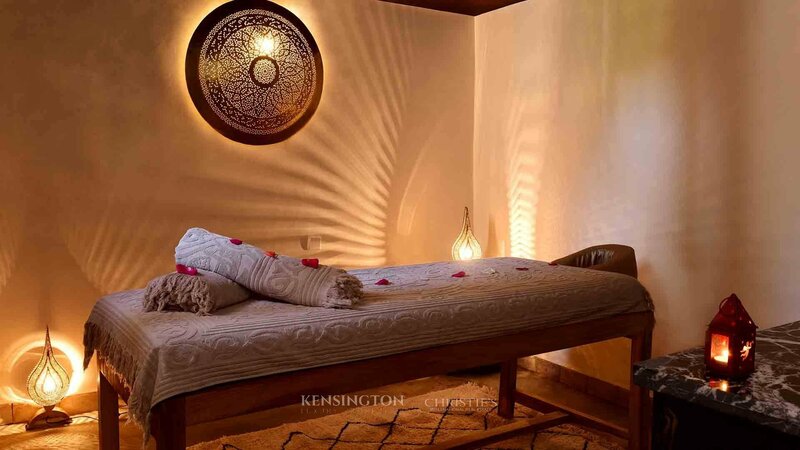 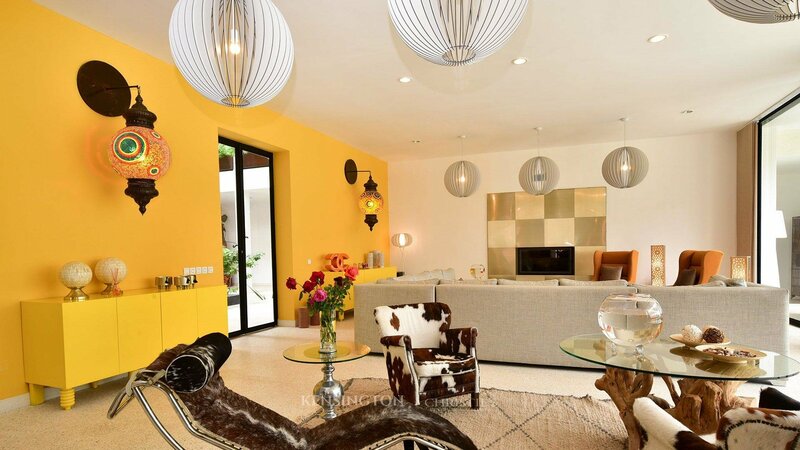 The estate features a striking Corbusier-style villa with 3 bedrooms, a sumptuously renovated Kasbah with 2 suites and 3 bedrooms, a charming traditional 4-bedroom pavilion and a 5-bedroom complex under kaidales tents with exceptional comfort and decoration . 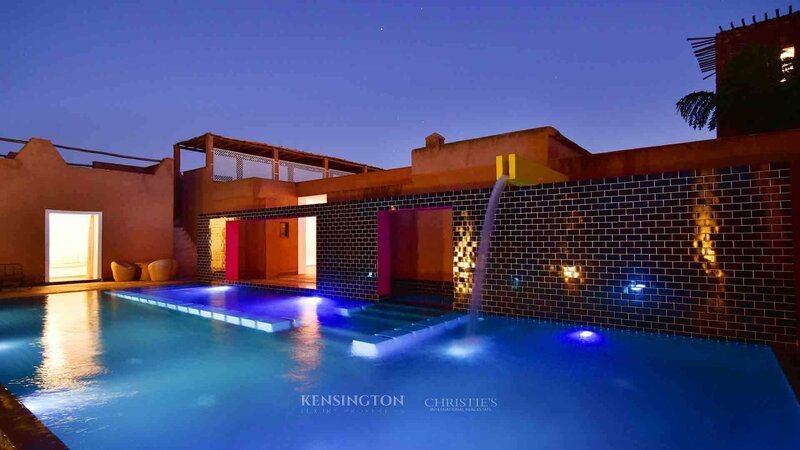 Each house has its own private pool. 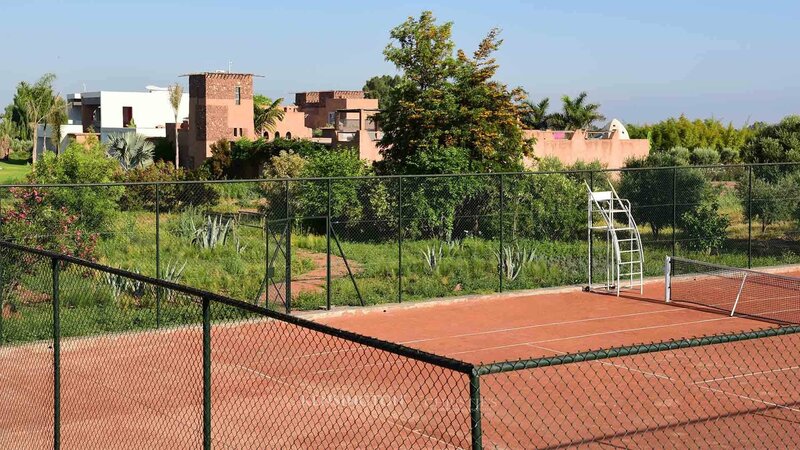 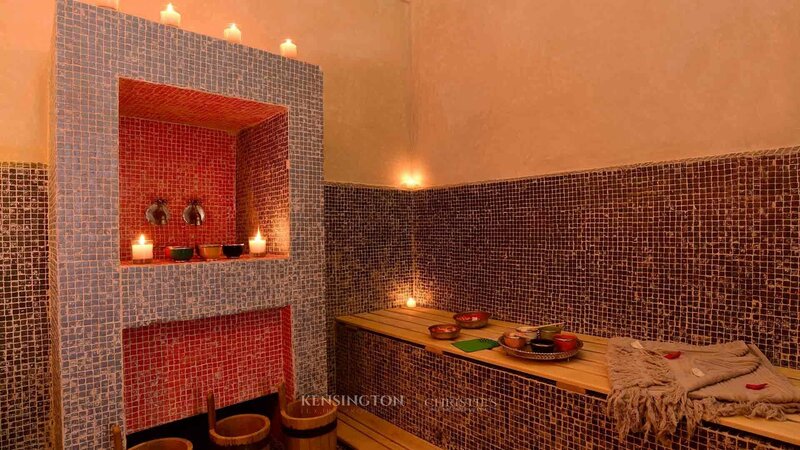 The estate has also a 200 sq.m pool house, hammam, solarium, reception areas and gymnasium all offering the best equipment possible. 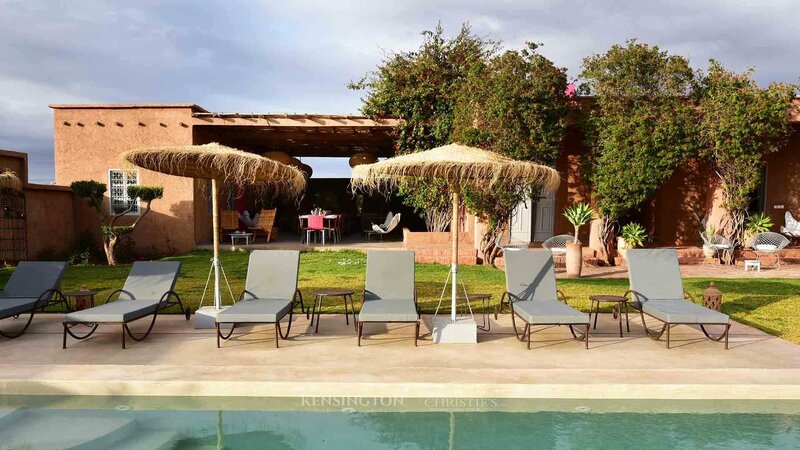 The Kasbah, the Villa, and the Pavilions can be rented on their own or exclusively with the possibility of adding extra beds. 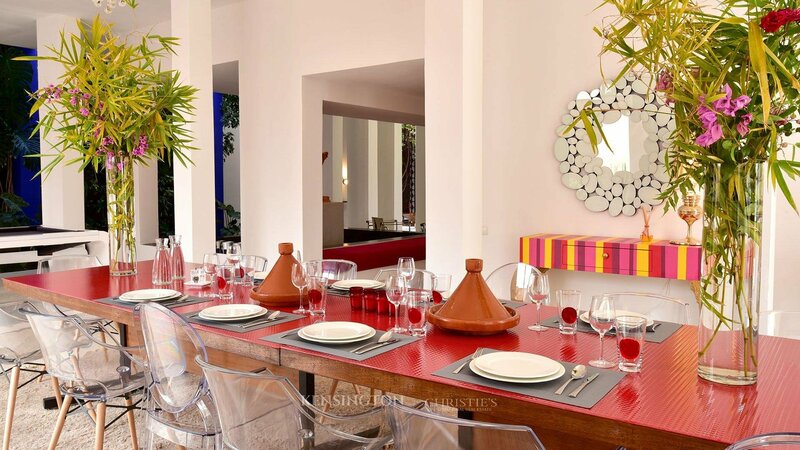 Ibtissam is a set of exceptional residences furnished with great care whilst offering the highest quality of services and amenities.